Coffee auto-fill means never having to wait. Morning is challenging enough. The day is just starting, and I’m barely functional as I make my first cup of coffee. (Yeah, I’m and addict. So what?) The last thing I need is to hear that awful sucking sound that means the reservoir on my Rancilio coffee maker is out of water. I already had to wait like… two minutes for it to warm up. How am I expected to wait another minute while I refill it? The sink is all the way across the kitchen! 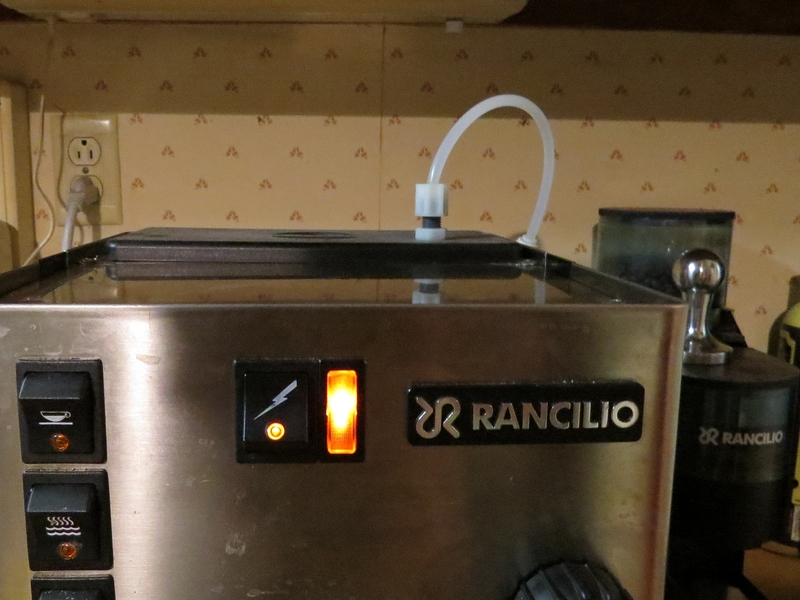 A time comes when you have to say, “I’m not going to take it anymore!” Well, I don’t have to worry about that since I discovered this pretty simple hack by Terry Stockdale to add a water line to the coffee maker. It only takes a few dollars in parts, and if your refrigerator already has a water line running to it, it’s easy to tap into that. I’m not going to try to reproduce Terry’s blog. It’s already easy to follow. I will add a few comments. First, if you are going to do this, I recommend adding a water filter, if you don’t already have one. Gunking up your nice coffee maker with hard water deposits or other stuff is a bad idea. Second, you could easily adapt this hack to other brand coffee makers. Anything that uses a reservoir would probably work. You may need to hunt around for a float valve with the right dimensions. Third, if it doesn’t seem to you like a big improvement to have water on demand for your coffee maker, maybe you should be drinking more coffee. Fourth… er, there is no fourth thing. Take a look at the pictures below to get an idea of my setup.